1719 N Louis Tittle, Mangum, OK.| MLS# 833504 | CENTURY 21 Altus Prestige Realty, Inc. This home is larger than it seems! 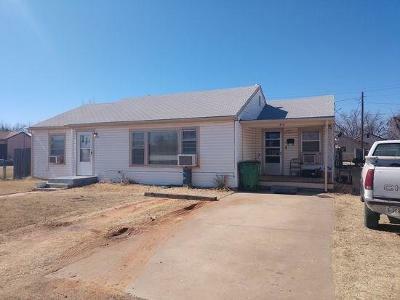 Home has two living areas, three bedrooms, one and a half baths, kitchen with lots of storage, inside utility, and many more features. Home has updated bathrooms, new oak cabinets in kitchen, updated water lines, updated gas lines, furnace has been checked, and updated electric. All electric, water heat and air, and gas repairs and updates were done by licensed professionals. The backyard is fenced with a large pecan tree and two storage buildings. One storage building has electric and light.